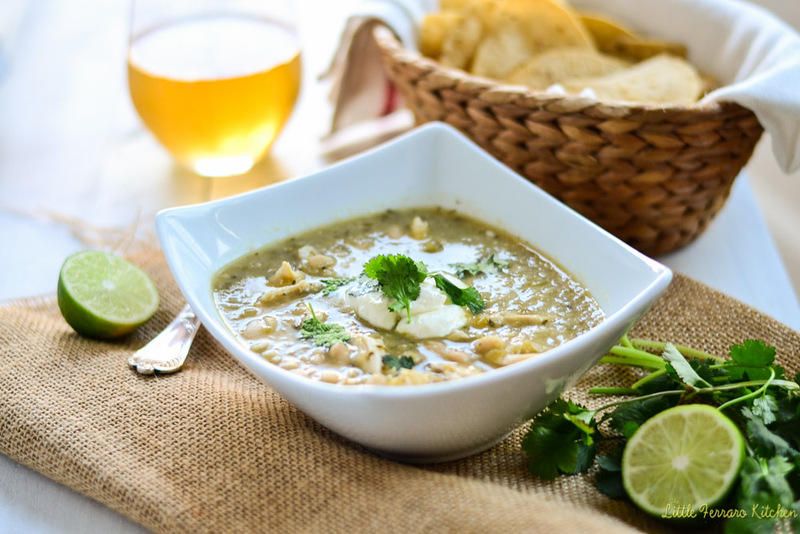 \\Chicken chili verde is a delicious and simple Mexican stew made full of chicken and beans and bright flavors of fresh lime and tomatillos. The beautiful color comes from fresh tomatillos and green chilis. I often debate with myself whether I should share recipes where you can find millions of them throughout the web. But after all, this is a constant exploration of my palate, of food, of food in cultures and of what we eat in our home. So, therefore, welcome to my second introduction to tomatillos in this glorious chili verde recipe. I shared the first time I had tomatillos when I made roasted tomatillo salsa. And may I add, is a breeze to make. After you husk and wash the tomatillos, which can be a bit sticky, roast them until the tomatillos are incredibly soft with some caramelization. 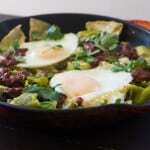 I have also read that authentic chile verde has LOTS of meat and little to no beans. I am sure this would be even more amazing with slow cooked pork (on the must make list and will report back), but I think adding beans adds a great amount of protein and texture. The wonderful thing about this chile verde recipe is that it’s made in the slow cooker! You can also make it on the stove top and cook until flavors meld together, I’d suggest about 25-30 minutes until the chicken is fully cooked through. For the slow cooker version, add the tomatillo base into the slow cooker and add uncooked chicken and beans. 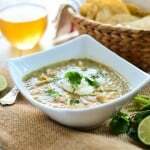 After a few hours, the green chicken chili soup melds together beautifully and is the perfect accompaniment with an ice cold cervesa, extra hot sauce and tortilla chips. Honestly, I could live on Mexican food, thank you very much. 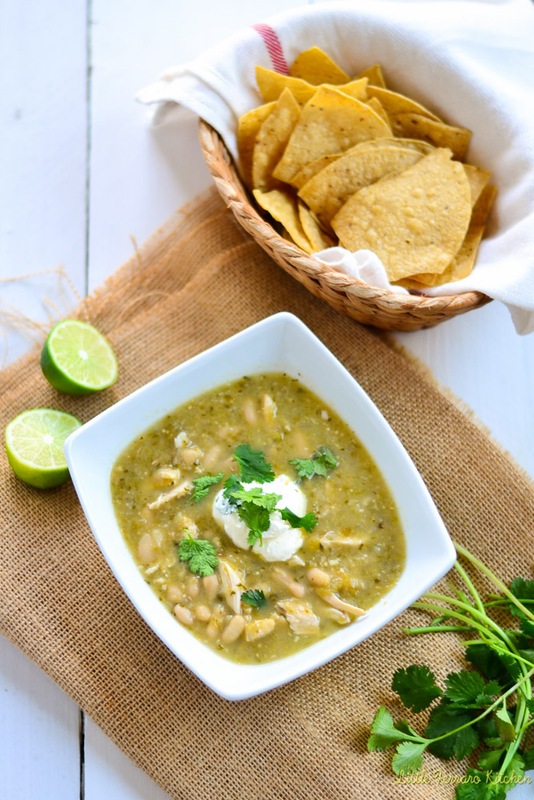 Chicken chili verde is a delicious and simple Mexican stew full of chicken and beans and bright flavors of fresh lime and tomatillos. Begin by making roasted tomatillo salsa. On a baking sheet, add the Anaheim chili's, tomatillos, jalapeno, onion and garlic cloves. Drizzle everything with olive oil and salt and pepper. Roast at 350 degrees Fahrenheit for 30 minutes, or until everything is softened and caramelized. 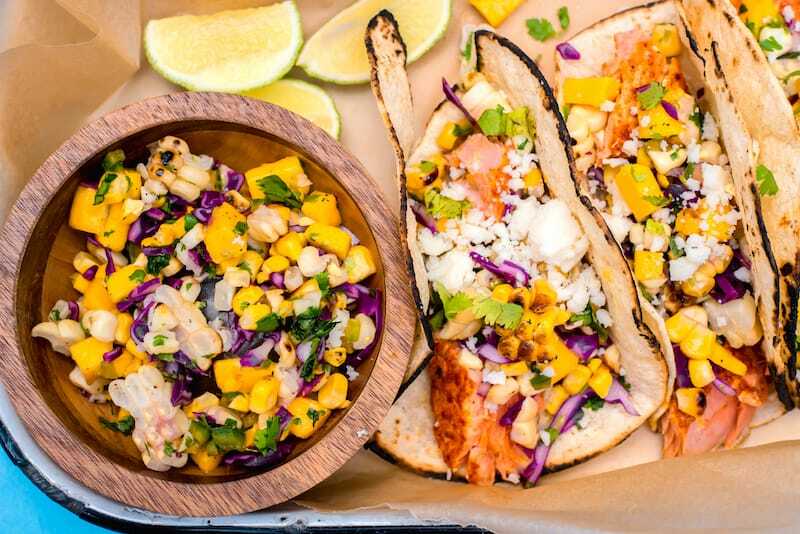 When done, add roasted vegetables to a food processor along with cilantro, lime zest and juice and 1/2 cup of water (if you need to thin out). Blend everything until it becomes a salsa consistency. Next, add everything else to your slow cooker. Add the tomatillo salsa, chicken, beans and chicken stock. You may want to season additionally at this point too. Cook on high for 3-4 hours or low for 4-6 hours. When done, you should be able to easily shred chicken. Add shredded chicken back into chili. 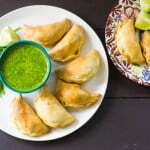 Serve with sour cream, tortilla chips and garnish with lime and extra cilantro. 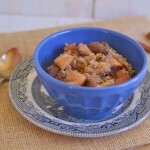 This dish is easily made in the slow cooker, however can also be done on the stove top. Also, if time is an issue, throw in some frozen chicken breasts! This looks awesome! Great timing too, I’m getting tomatillos from my csa this week. 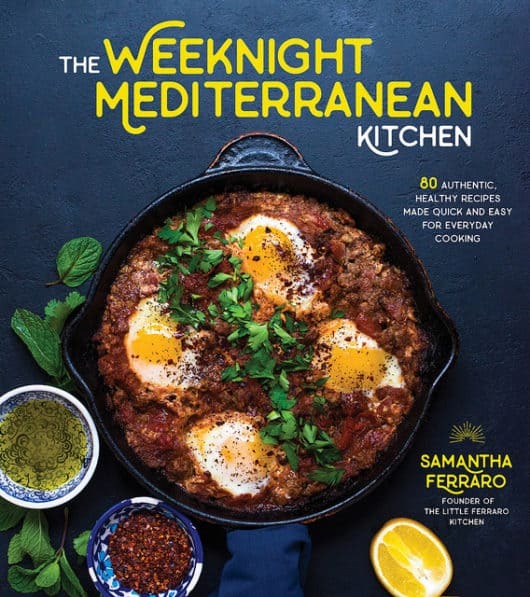 Hi Samantha, great recipe. I live in the southwest, Arizona to be exact and this really looks good. Happy week-end to you. Hi Cheri! Thank you so much! 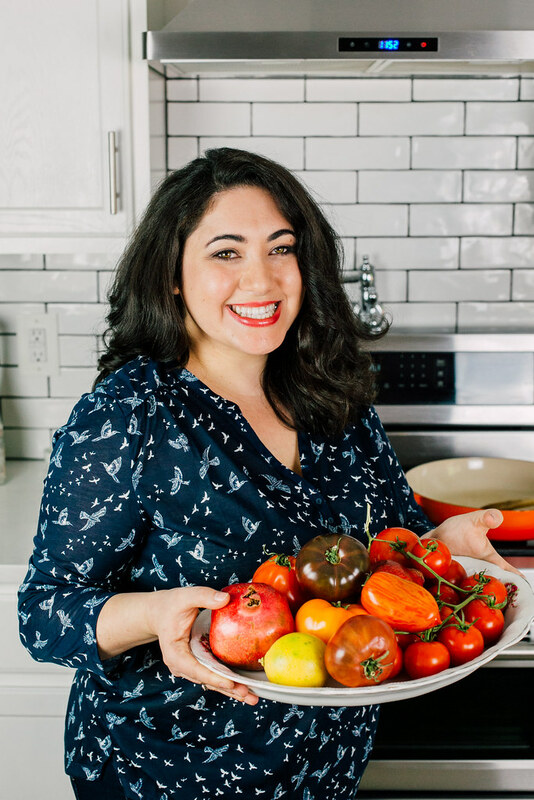 How would you say this rates on the “hot” scale, because I’m kind of a wimp with spices – though in allergy season anything to help clean out the sinuses is a definite plus for me. When I was in Santa Fe, even the stuff they called “mild” was a little tough for me. This is delicious, I didn’t use beans, added an extra jalapeño and used only chicken broth no water. After the chicken was falling apart I took it out and let the sauce cook down some to a thicker consistency. 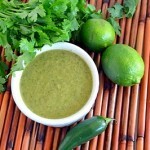 It will make delicious Chicken enchilada con chili verde salsa. 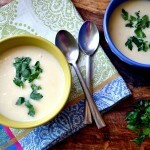 There are tons of things that this can be used for other than a soup/stew. 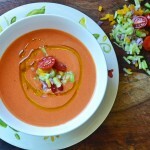 This looks like a great recipe, but no tomatillos here or Anaheim chilis here! What to do? Hi Carly..thanks for your question but I also ask that you not rate the recipe until you have actually tried it. Unfortunately when someone rates 3 stars, it does not make the recipe look good. 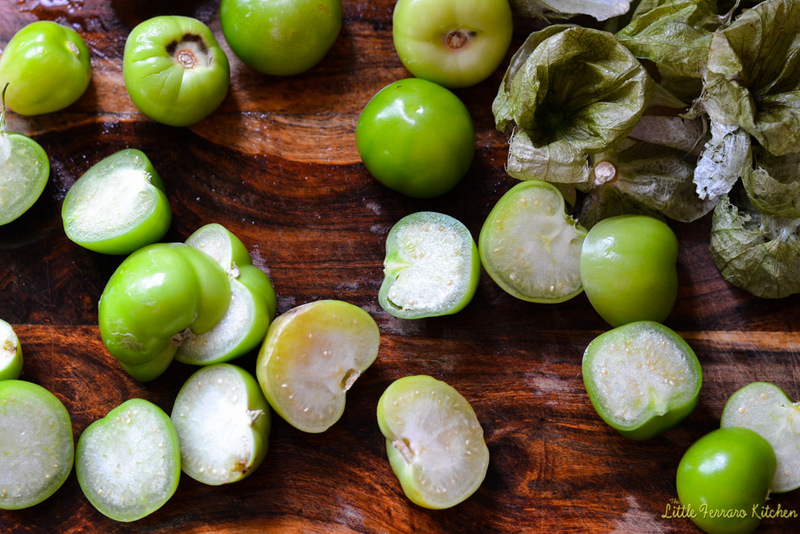 Now for tomatillos and chilis….where are you located? I am in Washington state and am able to find tomatillos at local grocery stores and Mexican/Latin markets as well. This was extremely easy and delicious. I prepared this recipe twice in a row because it was so enjoyable. 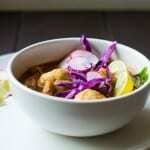 The recipe for the Chicken Chili Verde is simple and I feel made all the difference in taste! This is now in our consistent dinner rotation. We just made it again this week and the leftovers didnt stand a chance!